Formal Vis a Vis carriage pulled by a team of Belgian Paint horse's. 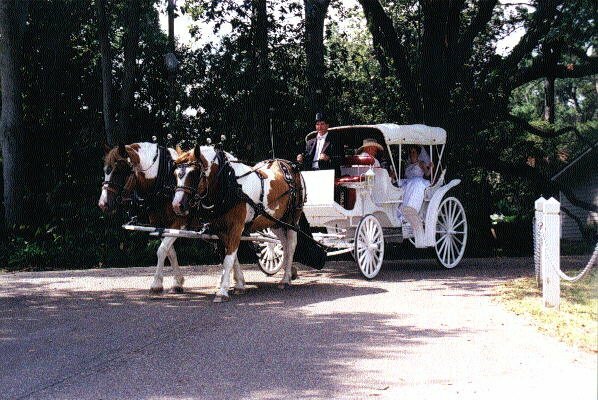 These horses have been doing weddings for many years and are safe in traffic and parades. Weddings in the Lafayette, Lake Charle area are five hundred dollars. One hundred dollar deposit required to book your date and the remaining four hundred due before the wedding.